On November 10, 1827 Alfred Howe Terry was born in Hartford. Educated in New Haven he completed one year of study at YaleLaw School. He was admitted to the Connecticut Bar in 1844 and practiced law and clerked at the Supreme Court of New Haven. 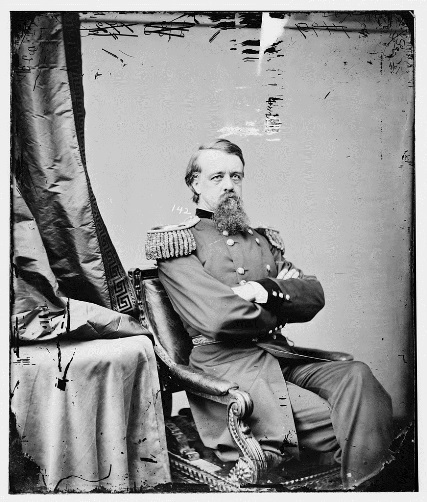 At the outbreak of the Civil War, Terry was appointed Colonel of the 2nd Connecticut Infantry Regiment. He fought in the first battle of Bull Run, and at the end of three months, Terry returned to Connecticut and organized the 7th Regiment Connecticut Volunteer Infantry. 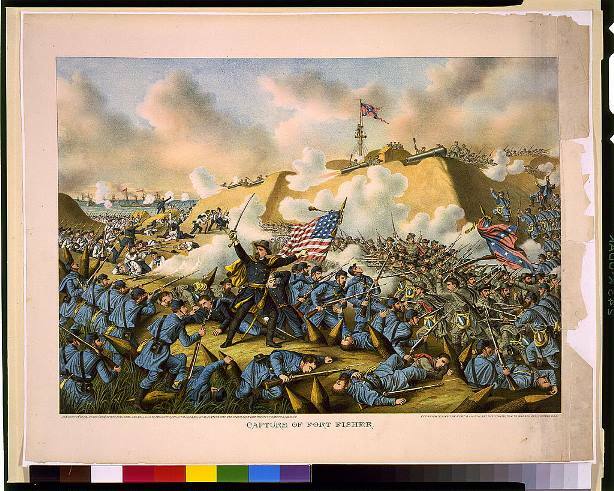 Terry’s greatest achievement in the Civil War was his capture of Fort Fisher in January, 1865. After the Civil War, Terry commanded the Department of Virginia, Department of the Dakota, and the Department of the South. As commander of the Department of the Dakota, Terry was responsible for dealing with the Sioux Indians, attempting to control hostilities when he gave orders to Colonel George A. Custer to lead the 7th Calvary in an advance move where Custer and his men were massacred at the Battle of the Little Big Horn on June 25, 1871 by Chief Crazy Horse and his warriors. Terry’s last assignment was as commander of the Department of the Missouri. He was promoted to Major General of the regular army on March 3, 1886 thus becoming the only non-West Pointer among Civil War officers to attain that rank. He retired from the Army in 1888 due to illness. He died in New Haven on December 16, 1890 and is buried in Grove Street Cemetery in New Haven, CT.
Sandra Whitney is a graduate student at Central Connecticut state University. This Today in History was published as part of a semester-long graduate student project at Central Connecticut State University that examined Civil War monuments and their histories in and around the State Capitol in Hartford, Connecticut.